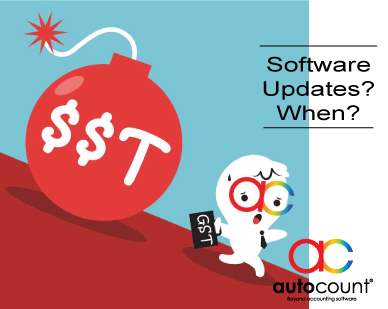 Upon the announcement of GST reduce rate from 6% to 0%, we have receive many questions from AutoCount users about the software updates. 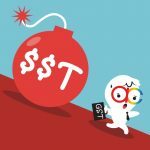 Q1: Is GST 6% still applicable now? Do I need to charge 6% in the invoice? A1: Yes, 6% is still applicable as of now until 31/5/18. The new rate 0% is applicable from 1/6/18 onwards. Please discuss with your client about the sales orders arrangement shall they are concern about the rate. For more questions about the transition from 6% to 0%, please download the official Q&A from here. Q2: Can I simply change the GST rate (from 6% to 0%) in AutoCount Accounting software? If yes, how? A2: No, you can’t simply change the rate from 6% to 0%. Please wait for official software updates by AutoCount and we will make arrangement for you accordingly. We shall keep you informed if there is any announcement made. 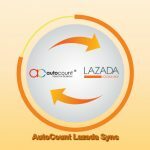 Q3: How long does it take for AutoCount to make such software updates? A3: There is no timeline informed by AutoCount thus far; as we are still binding by GST Act 2014, hence, AutoCount shall wait for official release of “Guideline on Accounting Software” issued by RCMD. Please be rest assured that AutoCount programmer team is ever ready to keep the software updated as per latest requirement by government. Hence, please be patience and we shall keep you informed as soon as everything is clear. There is approx. 2 weeks to reach 1/6/18, we are confident that updates will be done before the dateline. Q4: Would there be any cost involve for the software updates? A4: There will be free software updates for any purchase of software after 14/5/18. 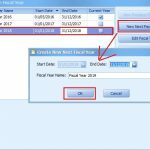 For customer who purchase the software before 14/5/18, please wait for the latest announcement made by AutoCount, there is no instructions given about this yet. Q5: What are major changes in this upcoming software updates? GST-03 shall remain as 6% up to 31/5/18; it will become 0% after 1/6/18. Q6: What is AutoCount going to do with implementation of SST? In view of so many uncertain issues, AutoCount would not proceed with any SST implementation yet; meanwhile, please be patient & wait for the latest announcement make by the ministry. Shall you have more questions, please feel free to whatsapps us for any clarifications. Meanwhile, please follow us on Facebook page Data Tree Solutions for any latest news release/ announcement.